As anyone following the retro 80s wargaming scene must know, we are merely days away from BOYL 2015 @ Wargames Foundry, Newark. 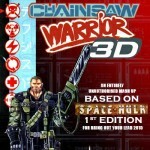 “Chainsaw Warrior with Space Hulk Rules” (got to think of a snappier title), will be making an appearance. The schedule is here http://forum.oldhammer.org.uk/viewtopic.php?f=40&t=4906, there are still spaces, so sign up quick. When I started collecting DBA armies in 1:72 plastic, the moulding quality was generally very good, except for one thing – the spears. In soft plastic, very thin straight rods just don’t work very well, so I started replacing them with my own, made from wire. I’ve been getting steadily more successful at home casting some of my sculpts, so I thought I would share my methods. 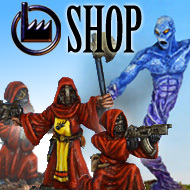 Note that the models for sale in my shop via Lancer are not produced in this way – they are spin cast in a commercial set up.